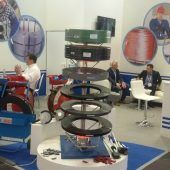 The International Exhibition "ExpoDrev 2018", where the cutting-edge technologies and state-of-the-art equipment in the timber industry were presented, was completed on September 7 in Krasnoyarsk, Russia. Over one hundred of world producers from 14 countries took part in its work. 1500 specialists from 900 companies visited the exhibition within four days. An investment agreement between the Kostroma Region and a group of companies Specta was signed on August 10 in Kostroma city. Under the agreement, Specta invests more than 231 million rubles in development, and the Region administration establishes the most favorable treatment regime for the investor. What does the world steel market expect? 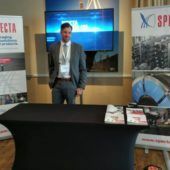 SPECTA became a sponsor of the annual international conference EUROPE STEEL MARKETS 2018. This most important discussion forum for all market participants is held for the third time in different countries, this time in Antwerpen (Belgium). The speakers are focused on a wide range of issues related to the market conditions changes in Europe and the United States. 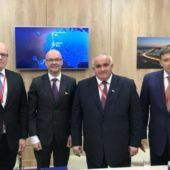 Yesterday, Governor of the Kostroma Region Sergey Sitnikov and the President of Specta Group AG Erik Helin signed an investment agreement as part of the St. Petersburg Economic Forum. The agreement specifies that Specta will create additional capacities in Kostroma for the production of PET tapes and storage facilities. This year SPECTA is celebrating its anniversary – 25 years in the packaging business. What has happened over all that time? During those 25 years, our company has launched a modern technological production business from scratch in Russia, manufacturing steel and polyester packaging strap, and marking materials – to become one of the leaders in industrial packaging in Russia, the CIS countries, Europe, and the Middle East. 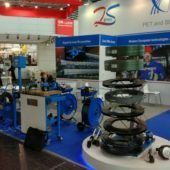 SPECTA booth at Wire & Tube International exhibition, Düsseldorf, April 16-20, gave its visitors a possibility to feel like on the 2018 World Cup football pitch and at a packaging workshop at the same time.